The State’s War on Drugs has failed miserably on numerous levels — and one of the more obvious breakdowns has been its empowerment and enrichment of Mexican drug cartels. But there is good news: as cannabis slowly attains legal status in the United States, it’s killing the violent drug cartels’ business. Marijuana seizures by the U.S. Border Patrol in the Southwest plummeted significantly, just in the past seven years — from 4 million pounds in 2009, to just 1.5 million pounds last year. This is also the lowest seizure total in a decade, according to Border Patrol statistics cited by the Washington Post. Cannabis stands as one of the most medically beneficial — and recreationally harmless — plants in existence. 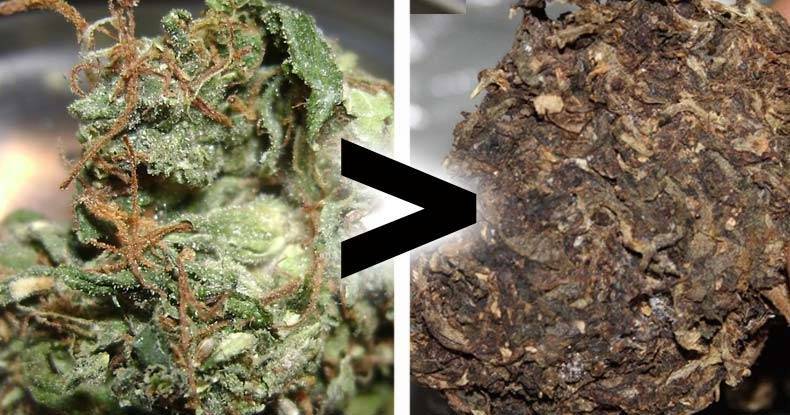 Simply put, legal weed realistically only harms the illicit weed business. Beginning with California’s implementation of medical marijuana law in 1996, an increasing number of states have seen the medicinal and profit-generating benefits legalization can create. Twenty-two states have allowed medical cannabis legalization to some degree, and Alaska, Colorado, Oregon, and Washington made the leap to allow recreational use and cultivation, with stunningly positive results. This has severely curtailed the profitability of illicit Mexican cartel weed, which is largely considered lesser quality than cannabis grown in the U.S. and Canada. “Mexican marijuana is deemed lowest on the totem pole and very few people who consider themselves aficionados or connoisseurs would admit to smoking it,” explained journalist Danny Vinkovetsky (pen name Danny Danko) of High Times to the Los Angeles Times. “It’s typically brown, pressed tightly together for transport, and full of seeds. Indeed, as the legal U.S. market exploded from $1.5 billion in 2013 to $2.7 billion the following year, the cartel’s profit suffered corresponding losses. Interestingly, and perhaps in contradiction to mainstream narrative, Mexican cartels have begun smuggling cannabis from the United States into Mexico in an attempt to eke out the profits to which they are accustomed. Mexico’s government followed the U.S.’ lead in the pernicious and notorious War on Drugs, which ultimately proved to be an all-out War on People from both sides of the border — as well as those around the world. Those who continue to press for a war on arbitrary substances are slowly, but surely, being exposed as the negligent criminals they are.